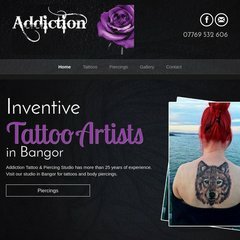 Topics: Tattooing & Piercing, Loyal Customer Base, Free Hand Custom Tattoo Designs, and Extensive Tattooing And Piercing Skills. nsb.yell.com, and nsa.yell.com are its DNS Nameservers. Its IP Number is 93.184.220.60. A ping to the server is timed at 97.5 ms.